This lodge is situated on a North Island cycle way to provide a stop for weary travellers, giving them a chance to recharge their batteries in a remote rural setting. With a commercial kitchen plan, this may grow to be become a conference facility in a beautiful remote spot in the New Zealand bush. The site is very steep so the design needed to balance between the cut and the cantilever, as well as the direction of slope and solar orientation. The buildings deliberately turn their back on the South West to block the prevailing winds. The Hub is the heart of the development and first point of introduction for a visitor. The large space has been divided into smaller pods for group relaxing, dining, catch ups by the fire or some quiet time relaxing on the deck. 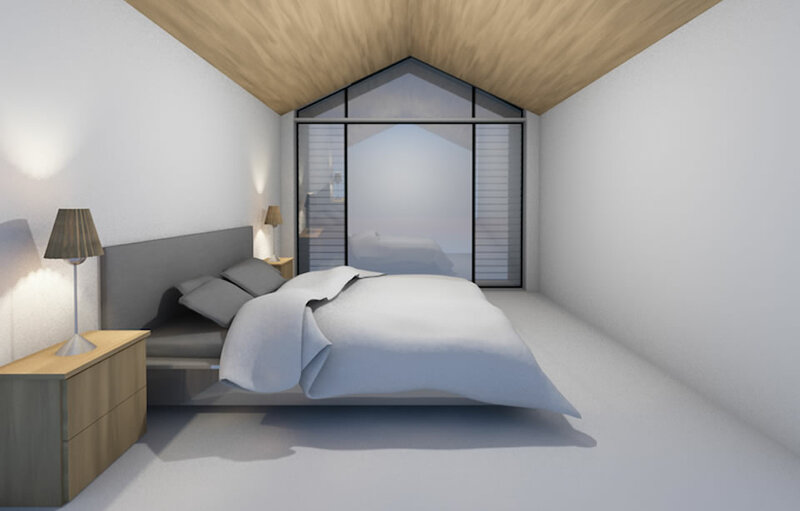 Architectural forms have been kept simple and consistent throughout the design so that once fully complete the entire development will read as one. 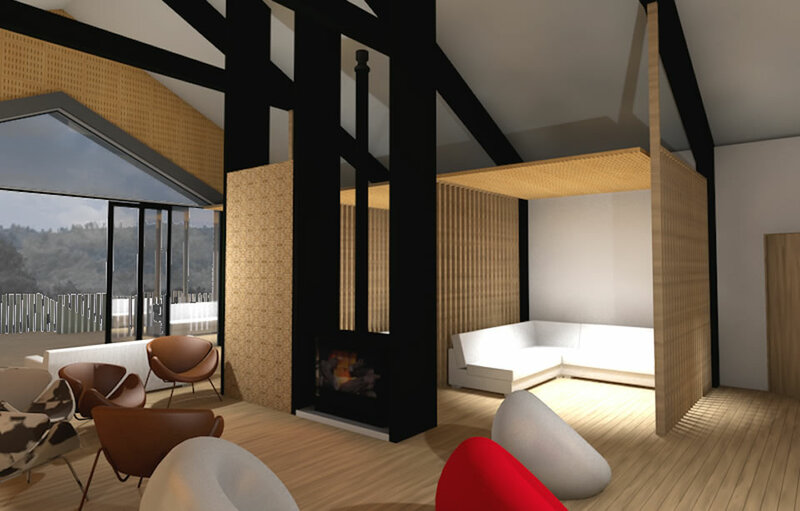 Individual cabins offer visitors greater privacy, each with their own deck and views of the landscape. 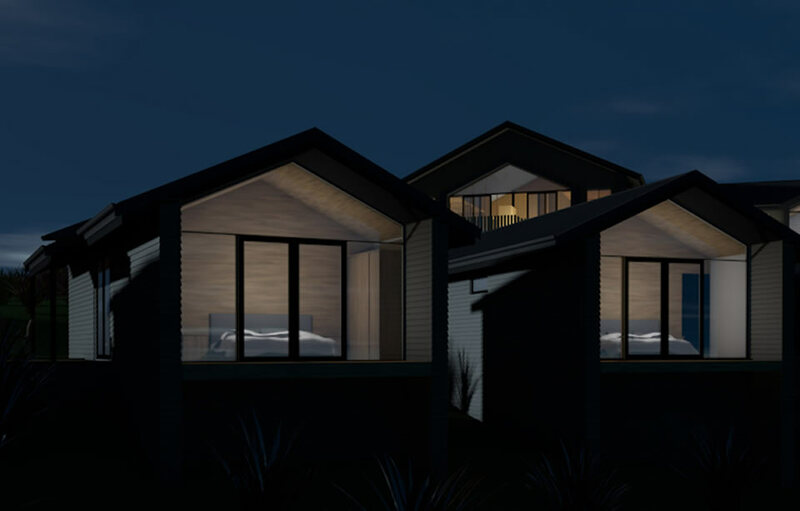 The cabins are also orientated to balance the solar and privacy aspects.